If you’re like many patients that I see, you’ve been suffering from chronic symptoms that are slowly wearing you down, and you know that something needs to change. Whether they are digestive issues, headaches, menstrual pain, weight gain, fatigue, or acne, these chronic conditions are preventing you from fully engaging in your life and with your loved ones. You probably already tried multiple avenues to try and help with your health concerns, but are still be looking for something more. You want healthcare that lasts because it addresses what is causing your symptoms. If you’re sick and tired of feeling sick and tired, you’ve come to the right place. I’ve helped hundreds of patients go from feeling that way to feeling better than they have felt in years! It’s time to feel better, and I can guide you through the process, one step at a time. ﻿﻿﻿﻿What can you expect when working with me? 1) Like my Facebook page to be part of my online community and get valuable tips, updates, and to find out about my free educational talks. 2) Take a look at my Blog page to see articles on specific health conditions. 3) Call our Brampton office at 905-451-3963 to book your first appointment. If you would like to start by meeting me first before taking the step to invest in your health, please book a complimentary 15min meet-and-greet appointment at the Downtown Brampton Wellness Centre. We look forward to helping you! Seeing my patients overcome chronic concerns and thrive in their health is one of the most rewarding aspects of my practice. I hope you will be one of them. 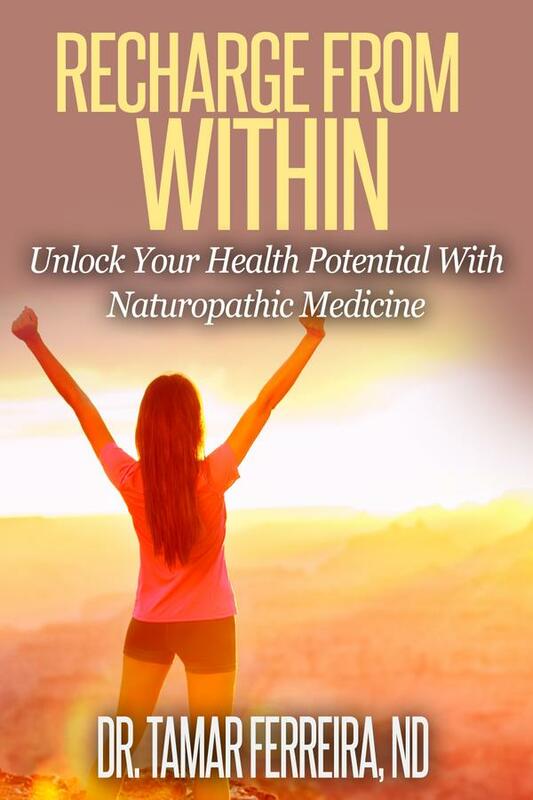 Sign up for my exclusive health tidbits and blog updates, and you'll receive a FREE copy of my e-book, Recharge From Within! New Service! Bio-Identical Hormones and ﻿Desiccated Thyroid﻿ Prescribing Now Available!